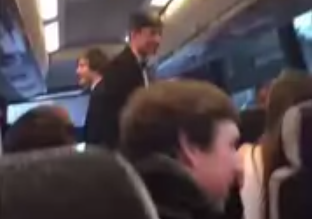 Oklahoma fraternity racist chant video: Sigma Alpha Epsilon suspended. CNN is reporting that the men in the video are part of OU’s SAE chapter, and the national fraternity organization’s statement on the matter appears to imply so as well. It’s not clear when the video was filmed. *Correction, Mar. 10, 2015: This post originally misidentified the University of Oklahoma as Oklahoma University.